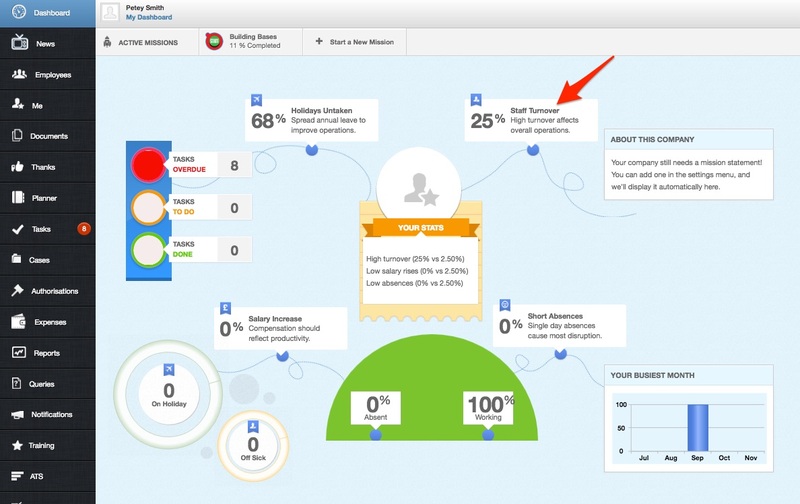 As an Administrator, you will see a percentage value for your companies staff turnover within your dashboard. Leavers (in the last 12 months) / (current employees + Leavers (in the last 12 months)) x 100. If you wish to calculate this for a different period of time, you can simply create 2 queries, 1 filtering on leavers with a specific time frame and the 2nd query providing you with the number of current active employees.